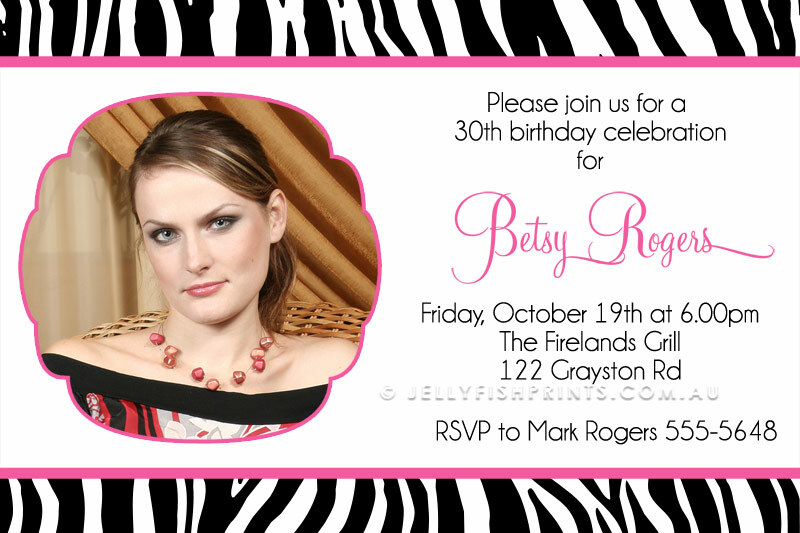 Our simple black and white zebra print invitations are accented with a hot pink frame to include a photo of the birthday girl to be. 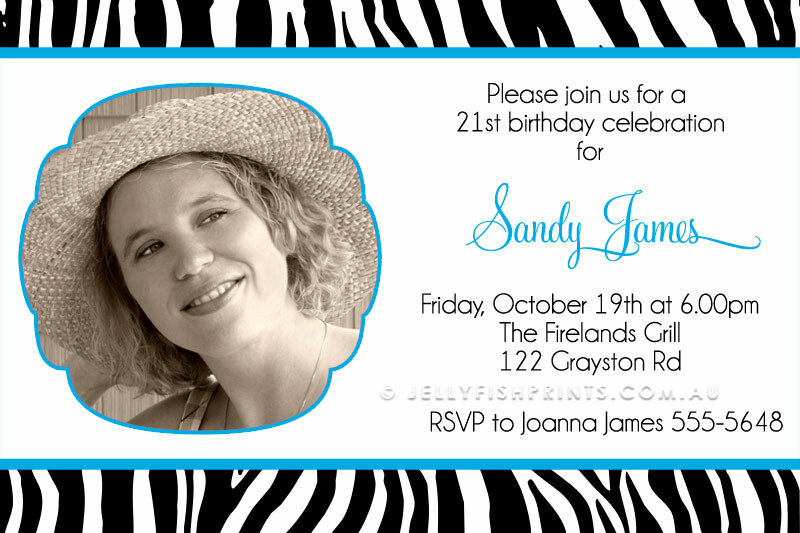 Customise and print off as many invitations as are required for the big celebration. 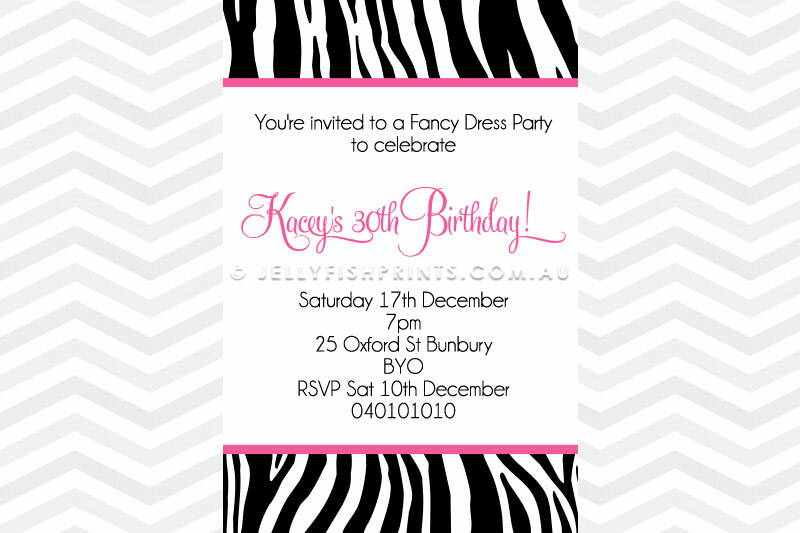 The Zebra print invitation is the ideal card to use for a girl or woman’s birthday celebration – maybe an adults 21st, 30th or 40th birthday party. It’s fun and flirty and the hot pink highlights contrast nicely against the black and white of the Zebra pattern. Upload a photo to be included in your invitation design. You can change the colours along with any of the wording to make your one of a kind invitation complete.